The focus of Beech Grove Crime Watch is on community awareness and crime prevention, partnering with our local law enforcement officers and using ongoing education and communication. 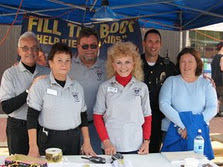 The Crime Watch Committee works to help ensure Beech Grove maintains its low crime rate and safe environment. Regular meetings address important public safety issues. They also serve as a wonderful tool for communication with your community leaders. All are welcome to attend. If you would like to request additional information or sign up for our electronic mailing list, please send an email to bgcrimewatch@gmail.com. To report suspicious activity, call the Beech Grove Police Department at 782-4949.